The staff during our 3 day stay were A1 in every way. Very impressed and would stay again just because of this. Where to find Ipswich hotels near an airport? How can I find hotels in different Ipswich neighborhoods? Where can I find hotels in Ipswich that are near tourist attractions? 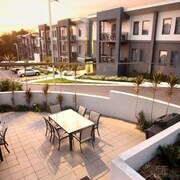 Are you traveling in Brisbane and are looking to choose an apartment or hotel in or near Ipswich? 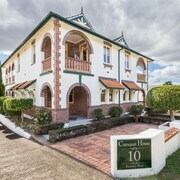 Within easy driving distance of central Ipswich you'll discover 8 Expedia-listed long-stay and short-stay accommodation options you can choose from. 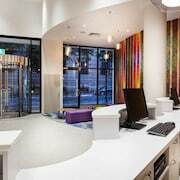 Smart travelers who understand the many benefits of booking a hotel close to the action and bright lights of the city's heart will love the Metro Hotel Ipswich International and Oaks Aspire, all of which are located within 1 kilometre (0.6 miles) of Ipswich's downtown area. 30 kilometres (19 miles) away from the middle of Ipswich, is the Quest River Park Central. 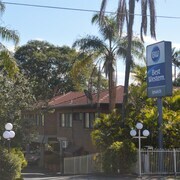 The Hilton Brisbane is positioned 30 kilometres (19 miles) away. 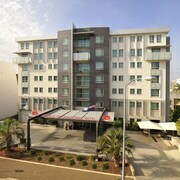 The Quest Spring Hill and also the Quay West Suites Brisbane are some other places to book accommodation in Ipswich. 55 kilometres (34 miles) to the northeast of Ipswich is Redcliffe, where you can spend the day enjoying Sutton's Beach and Bluewater Square. 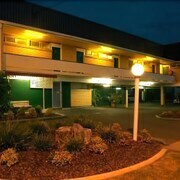 Should you wish to spend a few nights in Redcliffe, check out the room rates at the Oaks Mon Komo and Redcliffe Motor Inn. 25 kilometres (16 miles) to the northeast of Ipswich, you'll find Inner West, which is home to the South Central and Central Cosmo Apartments. The Jubilee Catholic Parish and Toowong Cemetery are a couple of the more popular points of interest to explore when you're in Inner West. Just because you're on vacation, doesn't mean you can't enjoy your love of all things sport. Suncorp Stadium is situated 30 kilometres (19 miles) to the northeast of Ipswich. 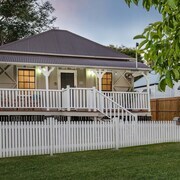 Sports fans wishing to stay near to the sporting action can take their choice from the Emporium Hotel or the Spicers Balfour Hotel. Brisbane International Airport is a nearby airport for flying in and out of Ipswich. It is 45 kilometres (27 miles) away. 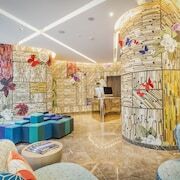 If you plan to stay nearby, try the Novotel Brisbane Airport or Novena Palms Motel. What are the most popular Ipswich hotels? Are there hotels in other cities near Ipswich? 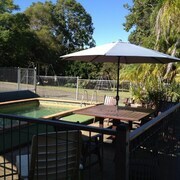 What other types of accommodations are available in Ipswich? Explore Ipswich with Expedia.ca’s Travel Guides to find the best flights, cars, holiday packages and more!